Winter can easily ravage the skin if it isn't well cared for, leaving it thirsty, flakey and irritated. When the bitter weather sets in from November through until March, there's a few measures I take in the skincare department, in order to keep my skin soft, smooth and supple. Although it's an important step all year round, removing makeup at night is especially crucial during winter, to make sure the skin has time to repair itself. There's only one micellar water that gets my full seal of approval, and that's Bioderma. To up the ante at this time of year, I choose the brand's Hydrabio H20 formula over my usual bottle of Sensibio, as it's hydrating and removes every trace of makeup, without causing irritation or stripping-effects. As my skin-type is normal to dry, balm cleansers are another staple in my skincare stash whatever the season, but I reach for a richer consistency at this time of year. No guesses for my most coveted cleanser, I'm sure. Yes, once again, I'm waxing lyrical about my holy grail of all holy grails - Oskia's Perfect Cleanser. Ultra-nourishing, thick and full of skin-loving, active ingredients, this formula is a saviour for anyone with dry, dehydrated skin. Although it leaves behind a slight, moisturising veil after being removed, it really gives a deep-down cleanse and doesn't ever clog my pores or cause break-outs. Instead of reaching for cleansing, detoxifying masks whenever I give my skin more of a deep treatment during the cooler months, I'll choose nurturing or resurfacing masks. To maximize my skin's moisture levels, I adore the GlamGlow ThirstyMud Hydrating Treatment, which contains Hyaluronic Acid, Coconut and Honey, delivers a huge burst of hydration and leaves skin feeling so soft and looking super radiant. Plus, it smells like a delicious cocktail! I've been reaching for REN's Glycolactic Radiance Renewal Mask when my skin is feeling flakey and looking dull, as it's so effective at sloughing away dead skin cells to reveal a brighter complexion and smoothing any rough, bumpy patches. The marmalade consistency takes some getting used to, but the results are worth it! Upping the amount I exfoliate is a must. Personally, I'm all about the chemical, acid toners rather than the manual scrubs which are full of scratchy, damaging beads. One that gives incredible results without stinging when applied or leaving the skin red raw after use, is the Clarins Brightening Exfoliating Toner. Used a few nights a week, this silky liquid leaves my skin so soft and well primed to get maximum benefits from any serums and moisturisers used over the top. For even more of a boost, I also love using REN's Flash Rinse 1 Minute Facial when I'm short on time, as it leaves my skin feeling like polished marble in just 60 seconds. Injecting a short but powerful shot of Vitamin C into the skin, it really wakes up the skin and transforms it from lacklustre to firm, bright and smooth. I'll also bump up my use of serums, to sandwich my hydrating products and lock in as much moisture as possible. In the mornings, I've been loving the Nip + Fab Dragon's Blood Fix Plumping Serum, which is a thick, hydrating gel that instantly plumps the skin and minimizes the look of fine lines. Honestly, I'm not a fan of the odd scent to it, but the fragrance soon dissipates. An old favourite, Estee Lauder's Advanced Night Repair has made a recent comeback to my evening routine. This is a lighter serum which sinks in straight away. Working to repair the signs of aging and improve the clarity, strength and hydration of the skin, I wake up to a noticeably fresher face whenever I use it. This serum works wonders on calming and reducing the look of imperfections, too. Of course, I'm sure it's no surprise that I'll use more of a heavy-duty moisturiser, too. Personally, I adore a cream that feels decadent and doesn't completely sink in, leaving behind a dewy finish and a layer of silky moisture on the surface of the skin. 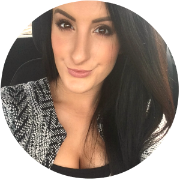 My drier skin just craves that comforting blanket of nourishment and a thicker formula keeps my face (and makeup) from drying out and starting to crack throughout the day. This year, I've been loving Kiehl's Ultra Facial Cream. Despite providing long-lasting moisture, it has a lightweight texture that sinks in quickly and helps to level out the skin's oil production. On days when I wear no makeup, or have a little longer to get ready, I'll slather on some of the Sarah Chapman Skinesis Morning Facial, which is a silky, non-greasy, facial oil. One pump massaged into the skin feels so soothing and leaves skin looking healthy, dewy and radiant. As long as I wait a few minutes before applying my makeup, it serves as a great primer for my dry skin and it doesn't disrupt my foundation whatsover. During winter, lip balm starts to take over in my house and having about twenty tubes dotted all over the place is standard. 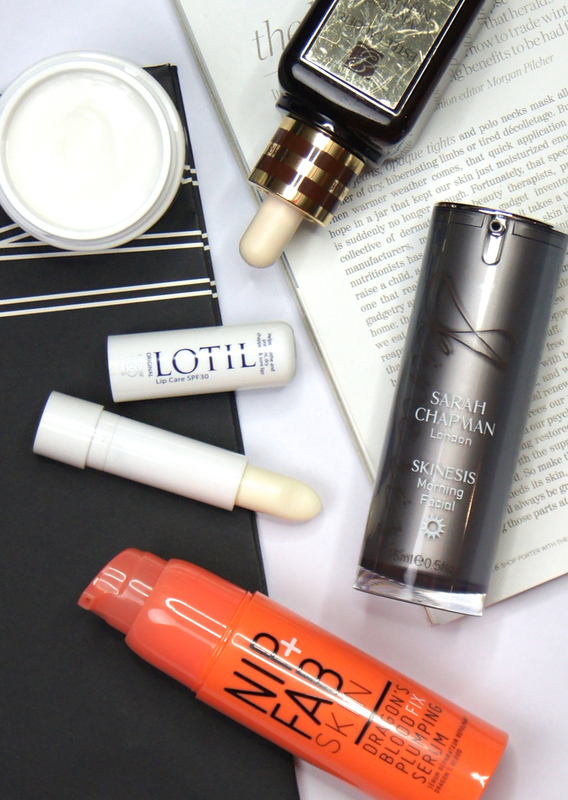 At the moment, my favourite of them all is the Lotil Lip Care Balm*, which smells divine and not only helps my lips to look and feel better short-term, but actually treats them with regular use. Containing SPF 30, it also helps to protect my pout from the sometimes harsh, winter sun. What changes do you make to your skincare routine, during winter? 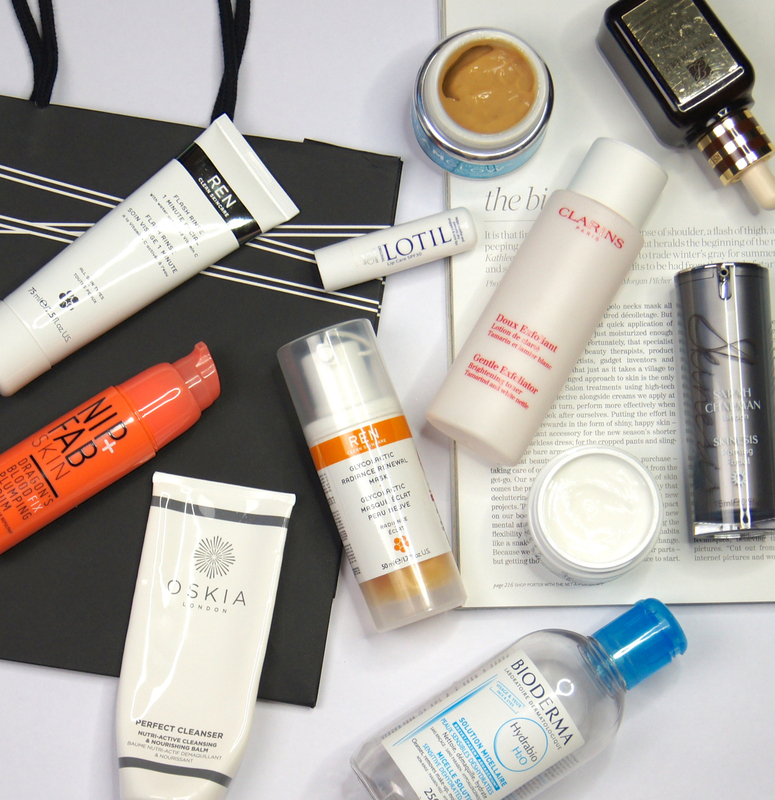 Loved this post Alice, your skincare picks are so so fab! 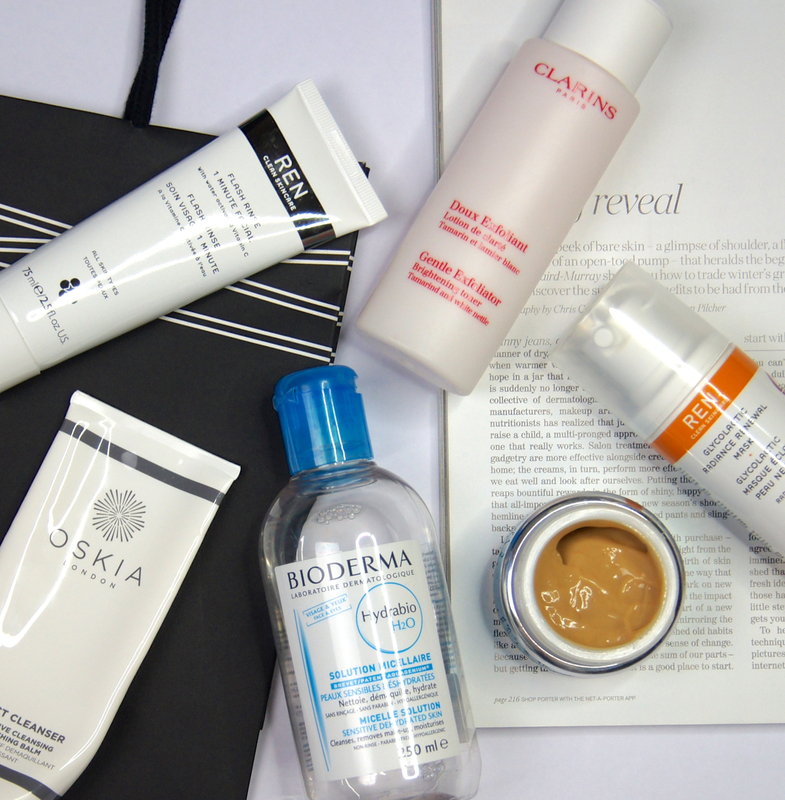 I really want to try the Oskia and Sarah Chapman products, definitely two brands to try more of this year! I amp up the exfoliating game, switch to heavier oils and actually do use a moisturizer during daytime, something I skip for the rest of the year on my combination-oily skin. The Oskia product sounds amazing! You've added a LOT to my wishlist here, I really need to up my skincare game. I feel like I should really try the Nip + Fab serum! There isn't much of a winter where I live, but it does get cooler so I simply switch to a heavier moisturizer. When I used to live in a place with real seasons I had to change my entire routine to prevent my skin from turning terribly dehydrated! I really want to try dragon's blood - I love Nip+Fab!